About a week ago, the rover Curiosity lifted off, bound for Mars. 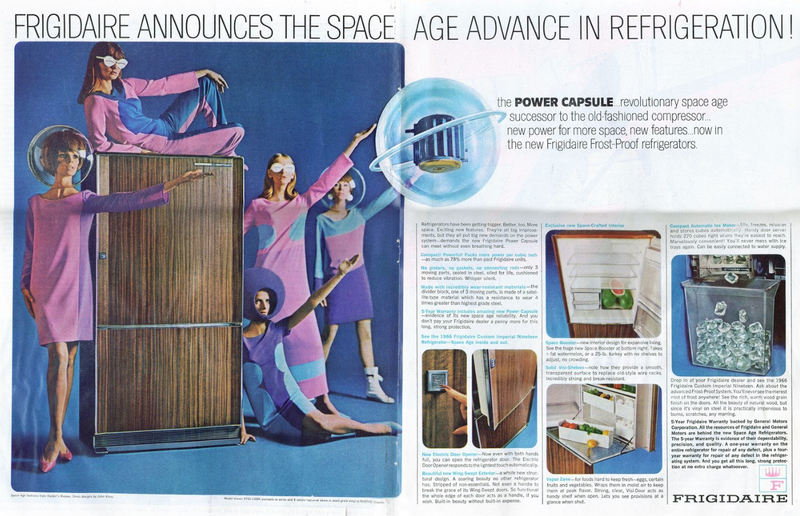 Who better to wish the mission well than our favorite space cadets, the bubble-hatted Frigidaire babes? 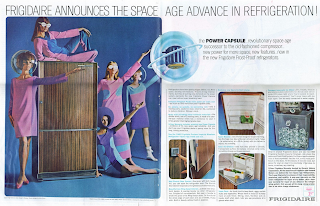 They have time-traveled from 1966, in full Carnaby Street style, ostensibly to call attention to some sort of now out-moded refrigerator improvement, but judging from the way they are increasing in number, I suspect they have a secret plan to take over the Earth. We'll check back with them in 247 days—the scheduled date for Curiosity to touch down on the Red Planet.